What Does Mobile Data Say About the USA? Home » That! Blog » SMM - Social Media Marketing » What Does Mobile Data Say About the USA? A community used to be defined by its geographic placement on the globe. Communities could be defined by the people on a block, a subdivision, or even a small town. But some interesting info graphics have been created to show that communities extend as far as your phone will call. 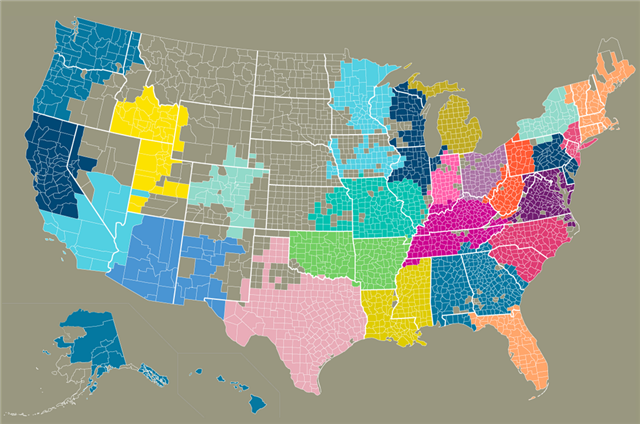 The Connected States of America is a colorful set of illustrations based on mobile penetration, SMS and call communications. There’s a neat interactive map and video to illustrate findings by the MIT Sensible Lab, AT&T and IBM in July 2010. For example, the map shows California can be divided into two or three mobile communities and New Englanders like to call each other frequently. So what does the mobile data say about your community? Do you agree with the map’s findings?